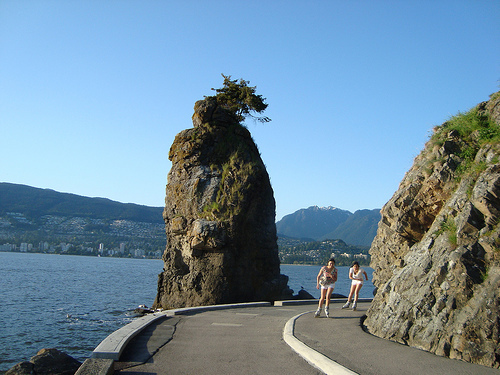 The Stanley Park Seawall was originally conceived as a precaution to erosion in the early 1920s. Though it took nearly six decades to complete the entire seawall, which rings the peninsula of Stanley Park, it was obviously well worth it as visitors and residents alike make this outdoor recreational facility the most popular activity in Vancouver. It's circular route racks up 5.5 miles or 8.85 km. Most spots are now physically separated so that in-line skaters and cyclists can peacefully co exist with pedestrians. NOTE: Wheeled traffic must travel in a counter-clockwise direction both on the seawall and the roadway in Stanley Park. Any point on the perimeter of Stanley Park offers many views of spectacular scenery. Four points are especially suited for viewing panoramas of the area. Hallelujah Point to view Coal Harbour and the downtown core. Brockton Point to view the eastern side of the North Shore and deep into Burrard Inlet. Brockton Point is also the best location for observing the cruise ships arriving and departing to and from the cruise ship terminals in downtown Vancouver. Prospect Point to view the western side of the North Shore and glimpses of Vancouver Island. Ferguson Point to view most of English Bay, Vancouver's Westside (Kitsilano, Point Grey and UBC), Vancouver Island (in good weather) and the North shore. 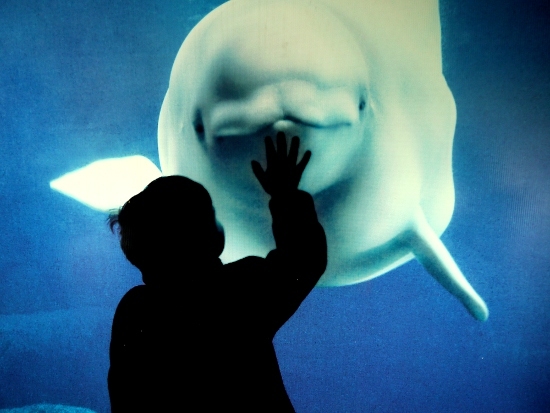 There's an ocean of viewing at the STANLEY PARK Vancouver Aquarium Marine Science Centre. 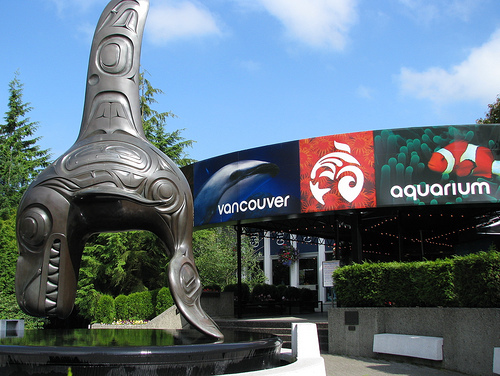 The new Wild Coast exhibit replaces the killer whale habitat, housing dolphins, Steller sea lions and seals. Watch training sessions and feeding of seals and sea-otters. On trainer tours you can feed sea otters, sea lions or seals yourself. Or watch a trainer dive into the tank to feed the sharks! New animals keep popping up at this active aquarium. A baby beluga was born July 20, 2002! Clownfish Cove, a new interactive children's area in the lower level of the Aquarium's Weyerhauser Pacific Canada gallery. Designed to appeal primarily to children 8 and younger, Clownfish Cove features live animals such as seahorses, toads and, of course, colourful clownfish. 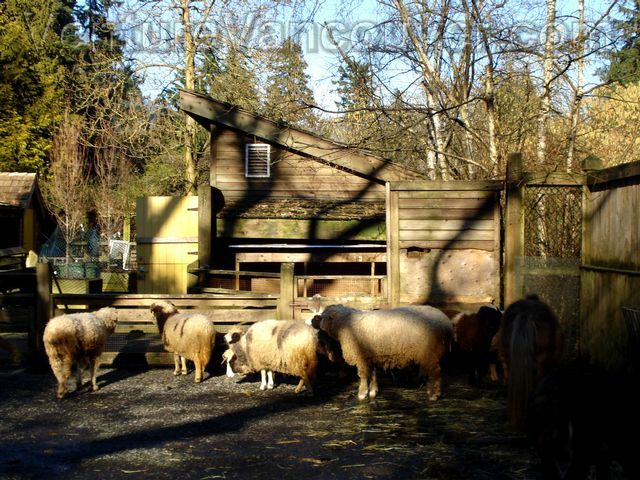 The children's farmyard in STANLEY PARK allows visitors to get up close and personal with our myriad selection of domesticated animals, many of which are rare breeds, who rarely fail to charm the human animal. A modest fee is charged for both of these attractions. From further south, the Amazon gallery holds tropical fish, caymans, sloths, snakes, spiders, birds, tortoises and frogs. Other galleries include The Wild Coast, The Pacific Northwest, and Arctic Canada. 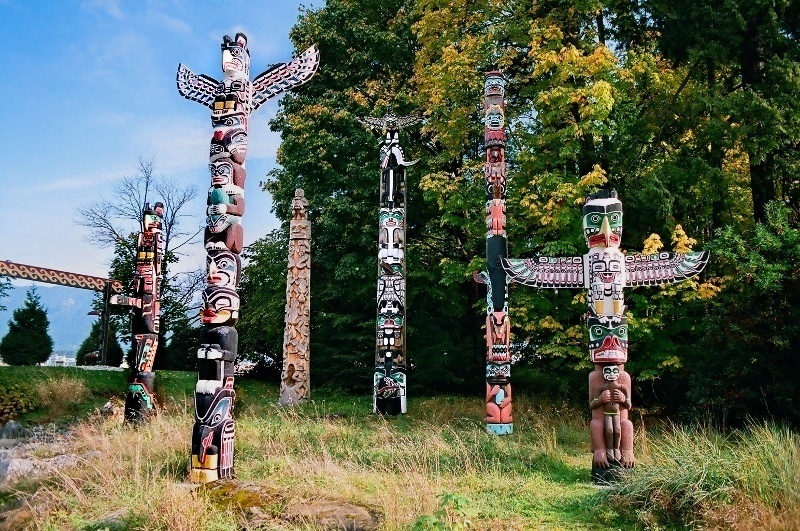 The Totem poles of STANLEY PARK are beside the Brockton Oval cricket pitch. There are eight in total. They were carved from western red cedar. Each one tells a story of a mystical event. You will sometimes have to get in a line to get you picture taken beside one of these. 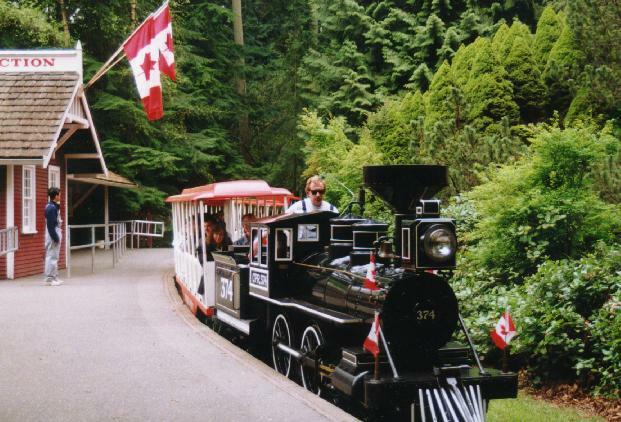 Serving to entertain both young and old alike is the exact replica of Locomotive Engine #374, which pulled the first transcontinental passenger train into Vancouver in the late 1880s. This 15 minute ride through the towering cedars and Douglas fir help visitors remember that STANLEY PARK was once a forest of old growth trees. There is more than enough sand and water at STANLEY PARK, In the summer time you have to show up early to get your spot on the beach. The children's water parks are a frenzy of screams and kids soaking each other. Where else can you stroll on a beach in the full sun and see snow on the mountains across the harbour.